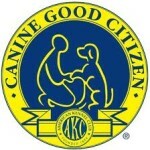 We encourage every class member to work towards earning the Canine Good Citizen Award. I am a certified CGC evaluator and will set up test dates as required. Have fun with your dog while providing a valuable service to others! We have classes dedicated to getting you and your dog ready for the TDI certification. I am also a TDI evaluator. We have an active group of Therapy Certified Dogs that visit local nursing homes. Others are involved with the Reading to the Dog program.